We propose you to control the real traffic! In this game you must stop or accelerate cars. But do not make a crash, no way! Just do everything that all these car will drive easily. Be sure that you will love this game. Have much fun! 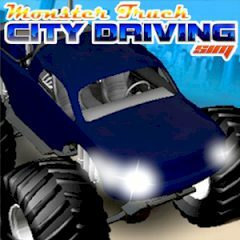 This amazing game gives you the chance to drive a true to life of this truck around a deserted city, where there is no police to slow you down and no one to tell you off for driving into buildings. That is why you can practice your jumping skills or just drive as fast as you like, but be careful not to roll the beat on its side here. If you do crash, don't worry a quick reset will have your truck all shiny and new again and don't forget to use the different camera angles to give you either the real behind the wheel feeling or a cool view here. So, have fun.